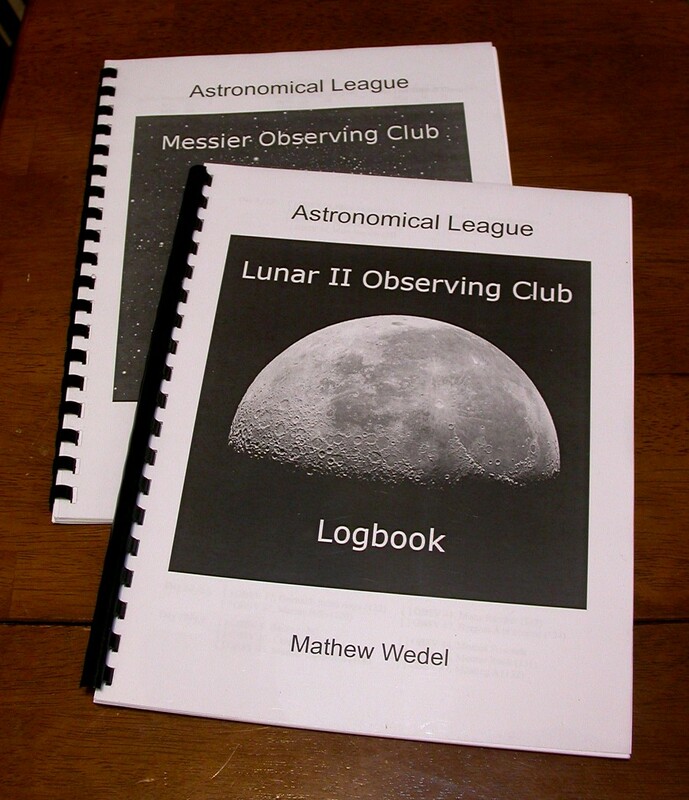 Over the holiday I made logbooks for the Astronomical League’s Lunar II and Messier Clubs. No sense in hoarding them for myself. You can download them under “Pages” on the sidebar to the right, or just click this link. I may do one for the Galileo Club as well (Later: I did!). Don’t worry, the downloadable versions don’t have my name on the cover. Happy observing! You are currently browsing the archives for the Observing logs category.